Greenleaf is promoting from within. 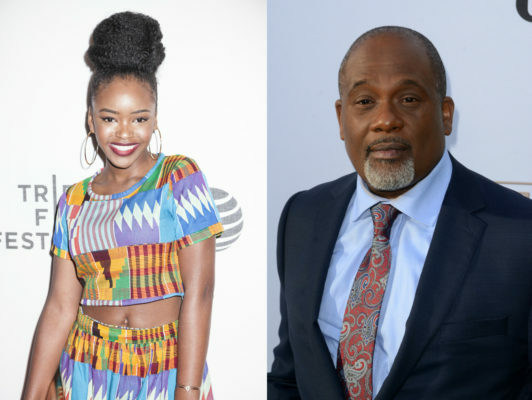 Deadline reports Lovie Simone and GregAlan Williams have been upped to series regulars for season two of the OWN TV show. The drama explores the secrets and scandals behind the Memphis-based Greenleaf family and the megachurch they run. The cast also includes Keith David, Lynn Whitfield, Lamman Rucker, Kim Hawthorne, Merle Dandridge, Desiree Ross, and Deborah Joy Winans. On Greenleaf, Simone plays Zora Greenleaf and Williams plays Robert “Mac” McCready. Season two of the series is slated to debut in 2017. What do you think? Have you seen Greenleaf? Will you watch season two? Never thot I’d b a fan of anything on Oprah channel. Especially produced by the goddess of the world. I am. Good series Oprah. Can’t wait for next season.